One more time, due to very unfavourable weather conditions in the forecast for April 14, the Owl Prowl originally scheduled for March 31 has been postponed to April 16. Everyone registered for this event will automatically be registered for Tuesday, April 16. If you are NOT able to come on April 16, please let Maureen know at events@mfnc.ca as soon as possible as there is a waiting list. Meet: in the Metro store parking lot, 375 Daniel St., Arnprior. Park opposite the store but close to the road. We will carpool from there. Meet: We will leave promptly at 8 am from the parking lot at the corner of March Rd (49) and Upper Dwyer Hill (3) (45.2673910,-76.1266138). From there we will drive to Millhaven where we catch the 10:30 am ferry to Amherst Island. Jeff and Angela will lead the group down but they expect participants to make their own way home after leaving the island. Bring: Lunch, warm clothes (including extra socks), snowshoes (optional), binoculars and scope if you have one, $9 per car for the ferry, money for dinner. Come and join us as we search for owls and other birds of prey on Amherst Island. We will drive to Owl Woods where we will hike a snow drifted road for about 2 km (Some people may want snowshoes for this part.) then into and around the woods for about 2 km hoping to find Nothern Saw-whet and Barred Owls roosting in the trees. We will walk the 2 km back along the same road we came in on. This makes for about 6 km of heavy walking in total. Once back to the cars, we will drive around the island looking for Snowy Owls and Short-eared Owls along with other raptors, stopping to scope species that we find. We will leave the island on either the 5 or 6 pm ferry, depending on the birds. There will be a quick stop for fast food for dinner in Kingston. Everyone should be home before 10 pm if we take the 6 pm ferry, maybe even 9 pm if dinner is fast. Contact Angela (angela_skevington@yahoo.ca; 613-832-1970) to register. Please indicate the number of adults and children. Meet: 227 Kedey Street, Fitzroy Harbour. Park on the street or at the end of the street. Due to poor conditions for animal track and bird observations and for safety reasons (parking along TD Parkway). We'll look to reschedule in March. Meet: Dunrobin Community Association parking lot, 1145 Thomas Dolan Parkway (near the Dunrobin Road intersection). We will carpool from there, about 4 km up the road. MFNC will join the Friends of the Carp Hills (FCH) in a species count of the animals that make the Carp Barrens their home in the winter. Field naturalists with good animal track or bird identification skills are needed. FCH is documenting the impact of human use on the flora and fauna of the Carp Barrens (at Thomas Dolan Parkway), particularly around unauthorized trails. Having an understanding of what animals inhabit the Barrens in winter will help with this four-season ecological study. We will walk one of the trail loops and record all tracks seen and all animals/birds seen or heard. Observations will be uploaded to iNaturalist. Snowshoes are a requirement in the deep snow on this site. The terrain is rocky and uneven. If the conditions are poor for observations, we will reschedule the event, aiming for Sunday, 3 February, at the same time and place. Please check our web site mfnc.ca before heading out, any changes will be posted there. Participants are asked to register ahead of time at events@mfnc.ca. The number of participants will be limited to 15. Meet: 7 pm at the Brigadoon Pub, Oxford Mills. Directions are on their website. A study of the Oxford Mills mudpuppies (large aquatic salamanders, Necturus maculosus) was begun in 1998 and continues every winter. We are invited to participate in this very kid-friendly activity. The location has unusually large numbers of mudpuppies and we hope to see lots of them in the shallow water as they come upstream to feed below the dam. First we will be given an introduction to the ecology of these fascinating animals, then we will proceed to the creek nearby to search for them. Wear warm, high, waterproof footwear as we will be standing in the water for about 1h. Bring a strong flashlight if you have one and walking poles might be useful too. The Brigadoon pub is open for a snack and a hot drink after, or participants may wish to have dinner there before the event. Register at events@mfnc.ca. The annual Pakenham-Arnprior Christmas Bird Count is being held on — you guessed it — Boxing Day! The count is a full-day event with a potluck dinner/compilation afterwards. Participants should have some experience in identifying birds; individuals are assigned an area to cover and paired so no one goes alone. 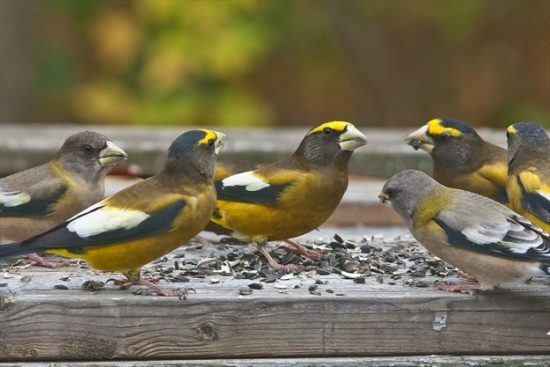 As reported at our last meeting, Evening Grosbeaks have started to show up after years of absence at local feeders and hopefully their numbers will return to at least double digits on our 2018 count. If you want to keep track of your feeder birds or participate in the count, please contact Michael Runtz at mruntz@start.ca or at 613- 387-2503. Meet: in the parking lot of the Metro store, 375 Daniel Street, Arnprior. Park away from the store, close to Daniel Street. Due to the weather today, this event is postponed until the conditions are better for shrub and brush removal. Meet: at the trailhead on McNab St.
Join other members of MFNC for our annual trail maintenance. Stay for the whole morning or for an hour or two if you are able to help. Bring loppers or pruners if your have them. Wear sturdy shoes and gloves. Please register at events@mfnc.ca and you will be given more information. Meet: Outside of Starbucks in Kanata Centrum, beside Chapters. We will carpool from there. Meet: in the parking lot of West Carleton Secondary School. We will carpool from there. Meet: March Rd. at Upper Dwyer Hill Rd., on the SW corner where there is a parking lot. We will carpool a short distance from there. Meet: 8:30 am in the parking lot of the Metro Store, 375 Daniel Street, Arnprior. Park close to the road. We will carpool from there. Meet: 227 Kedey Street, Fitzroy Harbour. Park on the street or at the end of the street. There is a dead end not far from the house. As of Friday afternoon the trails are hard packed, icy in places but navigable. Boots with ice grippers would probably work well too. Meet: 6114 Carp Rd., between Galetta Side Rd. and Kinburn Side Rd. The area around Ottawa is particularly rich in native fern species. We have over 40 different species here. Ferns have a public relations problem; they all tend to look alike to those who haven't studied them, but, when you examine them more closely, you begin to appreciate the wonderful diversity and complexity of ferns. Note: the location is changed due to updated information as to the numbers of odonates in various areas. Please note this event is cancelled and may be rescheduled at a later date. Meet: at the Mill of Kintail Conservation Area, in the parking lot, 1 Almonte Street, Mississippi Mills. Note, there is a $6 fee for each car. Meet: in the parking lot at the intersection of Dwyer Hill Road and March Road (NE of Almonte). Call Jeff Skevington Friday evening at 613-720-2862 if in doubt about the weather or for specific questions regarding this event. The rain date will be July 9. Similar to Christmas Bird Counts, this event is an all-day survey of in a 24 km diameter circle. The count area is centred on Manion Corners (SW of Ottawa) and includes several important butterfly areas such as the Long Swamp and the Burnt Lands alvar. No experience is necessary - we will put teams together on site and match up people so that everyone has a chance to learn from the experts. If you have binoculars and a butterfly net, please bring them along. Butterflies may be captured for identification and release. Rubber boots are recommended, as some of the sites have a lot of poison ivy. It is an all-day event so bring your lunch. We plan to meet at 6:00 pm after the count for a compilation and potluck dinner at the Allisons’ home at 561 Wolf Grove Road, about 2.6 km west of Almonte. Please bring along some food to share plus your own drinks. We hope that everyone can make it to the compilation, as it will be a lot of fun; however, if you can’t, we will get your data in the afternoon before you leave. OFNC has generously offered to pay the count fees for participants to support publication of the data. Registration is not required for this event. This event is especially "kid friendly". Meet: At the trailhead on McNab St. Directions are on our website. Due to the weather forecast, this event is moved to June 12. Meet: at the front door of West Carleton Secondary School. We will walk back to the Bill Mason Centre from there. This will be an all-day outing in the park where we will watch for spring migrants. There should be a good variety of warblers by this time of year, along with ducks and many other species of interest. We will begin early in the morning so it is advisable to stay in the area overnight Friday. There are accommodations nearby and camping is available in the park. The group will be limited to 25 members so please register early at events@mfnc.ca and questions may be sent to this same address. More information will be provided to registrants. Michael will lead us to several locations where we can expect to find owls. Target species are: Barred Owl, Northern Saw-whet Owl and Eastern Screech-Owl. Along the way we will learn about the ecology and behaviour of these beautiful and fascinating birds. Dress very warmly; we will be standing outside for periods of time. This trip is now full. Due to high water levels and low numbers of mudpuppies coming to the dam this week, we have postponed the event to February 10 when we are much more likely to have good numbers of them. A study of the Oxford Mills mudpuppies was begun in 1998 and continues every Friday night over the winter. We are invited to go and participate in this kid-friendly activity. The location has unusually large numbers of mudpuppies and we hope to see lots of them in the shallow water as they come upstream to feed. Wear warm, high, water-proof footwear as we will be standing in the water for about 1h. Bring a flashlight if you have one. The Brigadoon pub is nearby for a snack and a hot drink after, or participants may wish to have dinner there before the event. Register at events@mfnc.ca. Registrants will receive more details later. Meet: at the trailhead, which is on the March Road at Huntmar. There is a small lot which will accommodate some cars and parking on the road is the other option. Note: On Friday afternoon, January 13, the trails are hard packed but not icy. Either snowshoes or sturdy boots would be fine. December 26: 103rd Annual Pakenham-Arnprior Christmas Bird Count. We are looking for participants with at least minimal experience in identifying birds. Participants are assigned an area to cover and are paired so no one goes alone. It is a full day event with a pot-luck dinner/compilation afterwards. If you wish to take part, please contact Michael Runtz at mruntz@start.ca or at 613-387-2503. Meet: at the Metro parking lot, Daniel St., Arnprior. Park opposite the store but close to the road. We will carpool from there. Meet: At 1:30 p.m. in the parking lot adjacent to Metcalfe Geoheritage Park (MGP) in Almonte . The outdoor display of 22 rock specimens in Metcalfe Geoheritage Park offers an introduction to the principal rock types that underlie Eastern Ontario. Originally established more than a decade ago, the display has been recently upgraded by moving it to an open area and adding a walkway loop, with an explanatory entrance way panel. Additional specimens will be on hand to show features typical of the Canadian Shield, the overlying local Paleozoic strata and the unconsolidated glacially deposited overburden. The tour of MGP in Almonte will be finished by 3 p.m., but for those interested, additional stops will be made on the return trip to view bedrock exposures in Almonte and Pakenham. Due to a forecast of unfavourable weather this outing is cancelled, hopefully to be rescheduled for next summer. Meet: At 8:30 p.m. at the trailhead on McNab St., Arnprior. Directions available on this website. Come to the trail to discover and identify many of our local moths and find out what they are doing in the nighttime. Black lights will be set up and then we will wait in the dark as various moths are attracted to the white sheet that has been put up on the trail. Bring a flashlight, bug repellent, study footwear and a field guide if you have one. Members of MFNC are invited to join in this event. Saturday, 2 July, 8:30 a.m. to 4:30 p.m. Similar to Christmas Bird Counts, this event is an all-day survey of in a 24 km diameter circle. There is a $4 charge to participants to support the publication of the results. The count area is centred on Manion Corners (SW of Ottawa) and includes several important butterfly areas such as the Long Swamp and the Burnt Lands alvar. No experience is necessary - we will put teams together on site and match up people so that everyone has a chance to learn from the experts. If you have binoculars and a butterfly net, please bring them along. Butterflies may be captured for identification and release. Rubber boots are recommended, as some of the sites have a lot of poison ivy. It is an all-day event so bring your lunch. Call Jeff Skevington Friday evening at 613-720-2862 if in doubt about the weather or for specific questions regarding this event. Use OFNC Facebook or Twitter to arrange car pooling. We plan to meet at 6 p.m. after the count for a compilation and pot luck dinner (location to be announced). Please bring along some food to share plus your own drinks. We hope that everyone can make it to the compilation, as it will be a lot of fun; however, if you can't, we will get your data in the afternoon before you leave. Meet: at the front door of West Carleton Secondary School at 6:15 pm. We will walk back to the Bill Mason Centre from there. Directions: From the Dunrobin Road turn onto Riddell Drive. Drive down Riddell about 5km to where it swings sharp left and becomes the 6thLine. There is a flashing amber light here and a driveway on the right leading to the locked DND gates. Pull in here and wait at the gate. Someone will meet us at the gate at 8:00 so please arrive a few minutes before that to check in with Maureen. Meet: On Stonecrest Rd, at the corner of MacLaren Side Rd. Park on the side of the road. Michael will lead us to several locations where we can expect to find owls. Target species are: Barred Owl, Northern Saw-whet Owl and Eastern Screech-Owl. Along the way we will learn about the ecology and behaviour of these beautiful and fascinating birds. Dress very warmly; we will be standing outside for periods of time. Register at events@mfnc.ca NOTE: EVERYONE WHO HAD REGISTERED FOR THE ORIGINAL DATE IS ASKED TO RE-REGISTER FOR THE April 10 OUTING. Due to an unfavourable weather forecast for Feb. 28, this event is cancelled. New date to be determined. Karen will show us some of her favourite spots in the park where we should find lots of tracks and signs of animals as they go about their winter activities. We will look for Bald Eagles and other birds, visit a waterfall and a beaver pond. Meet: at the W. Erskine Johnston Arena in Carp beside the charitable donation bin and carpool from there for a 15 minute drive to the property. Postponed to January 16 due to unfavourable weather in the forecast. If you wish to be included in this all-day event, please contact Michael Runtz at mruntz@start.ca Binoculars and some birding experience are essential. It will be followed by a pot-luck dinner at the Arnprior Curling Club and a celebration of Michael's 50th year of participation in this count. Come for the morning or only part of the morning if you can spare an hour or two. Bring loppers and pruning shears if you have them. Work gloves, sturdy footwear and water are essential. Please register. Join the Young Macs as they watch the geese and ducks prepare to fly to their winter feeding grounds. We’ll discuss their amazing journeys along with the dynamics of feathers and flight. Meet at Karen Kroeger’s: 227 Kedey Street, Fitzroy Harbour. It’s a short walk from there to the waterfront in Fitzroy Provincial Park. Karen’s number is 613-622-1626. Be sure to check the Macnamara website before heading out on Saturday in case there are any last-minute changes. All ages welcome! And hot chocolate back at Karen’s after the outing! Meet: P1 parking lot at the Shirley’s Bay boat launch at the end of Rifle Rd. We will explore the river near the parking lot for waterfowl and raptors then head onto the trails to look for local and migrating birds in the forest. At this time of year we should find a good variety of species. The trails lead to a causeway where migrating shore birds can be found in the shallow water nearby. Meet: 9AM at Liza Badham’s home, (5689 Ferry Rd.) to carpool and take the Quyon Ferry to the Fletcher property, Spiritwood, 4316 chemin Steele, OR meet us there at 10AM if you are coming from another direction. Katharine and Eric will introduce us to their 100-acre home farm, Spiritwood, where they have lived since 1989. Katharine is a visual artist, freelance writer & columnist, and author of several books including: Capital Rambles, Capital Walks, and Historical Walks: The Gatineau Park Story. Together, Katharine and Eric have authored: Québec Off The Beaten Path. Eric is a professional photographer, computer specialist and publications/document manager. Spiritwood enjoys rich biodiversity: meadows, paddocks for two horses, a pond, wetland and mixed forest — which backs into the southwest “wilderness” sector of Gatineau Park. With plenty of verges, as well as open meadowland and woods, the Fletchers find many species of birds, including Eastern Whip-poor-will, American Bittern, Bobolink, Eastern Bluebird and 3 species of Swallow. Also seen on the property are mink, otter, fisher, deer, black bear, bobcat, green frogs (along with the uncommon blue morph), salamanders and more. Katharine and Eric invite us to come, wander their trails, climb the escarpment edge and look out over the Ottawa Valley to the Ottawa River — and beyond. In September, the leaves will be turning so expect beautiful views. Bring a lunch, binoculars, comfortable footwear, and your knowledge and appreciation of nature to share. As a follow-up to the recent presentation to our club by Gary Bell from the Nature Conservancy of Canada, a trip through one of the Conservancy’s properties, Gillies Grove, which he discussed, is in order. We will wander through the trails to see the magnificent old trees of this park, which was spared the fate of the surrounding forest because it was part of the Gillies homestead. One Eastern White Pine on the property was recently named the tallest tree in Ontario. Along the way we will likely see birds, butterflies and dragonflies so bring your binoculars. Water, insect protection and sun protection are essential. Meet: 10 AM in the parking lot of the Conservation Area on Morris Island Drive. This area with trails along the Ottawa River should provide excellent opportunities to find many different species of dragonflies and damselflies at this time of year. Sturdy footwear is recommended for these trails but the trails are relatively flat and easy to walk. Bring a lunch, sun and insect protection. We expect to be at the site for about 3 hours. This is a unique wetland which holds many of our native orchids and unusual insects too. Wet feet are guaranteed in the fen so old running shoes make perfect footwear on a hot day. Rubber boots would work too. It is a good idea to cover up with light clothing for protection against the sun and the biting insects. Bring a hand lens and binoculars if you have them. Expect to be out for most of the day and bring lots of water and a lunch. There will be an ice cream stop along the way to our picnic area. Note: There will be a limited number of registrations accepted for this trip due to the sensitive nature of the fen habitat. The Torbolton Sandhills host unique flora and fauna. Bring out the whole family for a walk in the Torbolton Forest and learn more about the natural history of this area. Target species in the wetland will be Wilson’s Snipe, American Bittern, Virginia Rail and Sora. In the forest and fields we should see a variety of songbirds and woodpeckers. There will be mosquitoes so cover up and bring repellent. Join keen members of the club on a hike through the extensive trails of this lovely area. 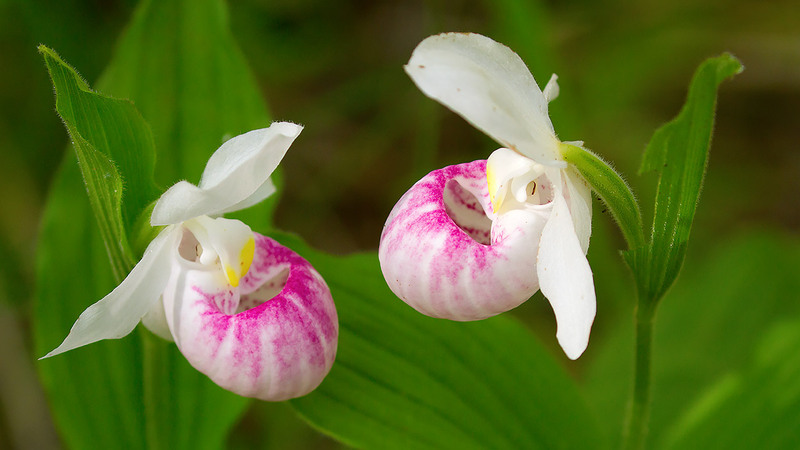 Here we should find a great variety of the ephemeral flowers of spring, before they disappear in early summer when the tree leaves shade the forest floor. Bring a hand lens and wildflower guide if you have them. Binoculars would also come in handy since there should be time to listen and look for birds. Prepare for mosquitoes and bring water and a snack. This will be an all-day outing in the park where we will watch for spring migrants. There should be a good variety of warblers by this time of year. We will begin early in the morning so it is advisable to stay in the area overnight Friday. There are accommodations nearby and camping is available in the park. There will be a small fee required to cover the expenses of our group leader, likely about $10 per adult, and there is a fee to enter the park. Meet: 7 p.m. on Stonecrest Road, at the corner of MacLaren Side Road. Park on the side of the road. Welcome the sounds of spring as we search for Spring Peepers, Chorus Frogs, Wood Frogs, Spotted Salamanders, various bugs and other creatures that seem to come alive as the ponds finally melt. We will visit ponds in two different places in the Woodlawn-Dunrobin area. Wear your highest rubber boots, if you have some, dress warmly and bring a flashlight. Bring the kids; this will be a very “kid-friendly” event! Meet at 7 p.m. in the parking lot of the Metro store, 375 Daniel Street South, Arnprior. Park away from the store, close to Daniel Street. From the parking lot we will carpool and then drive to several locations where we will search for owls. Dress very warmly; we will be standing outside the cars for periods of time. Target species will be Barred and Northern Saw-whet Owls, and Eastern Screech-Owls. Along the way, expect to learn more about these fascinating birds from Michael as he discusses their ecology and behaviour. Park at the house, on the street, or at the end of the street. There is a dead end not far from the house. Join us for a nature outing on snowshoes through some of the trails of Fitzroy Provincial Park where we should see many winter birds and find lots of tracks and other signs of mammals going about their daily activities. We’ll walk along the banks of the Carp River to a spot where bald eagles are sometimes spotted and past a beaver pond. We’ll see “shale pillars that stand as testaments to the erosive power of water.” And visit a lovely frozen waterfall surrounded by ancient cedar trees. If we’re lucky, we’ll see the pair of pileated woodpeckers that frequent the park. After the outing, join us for a social gathering back at the home of Karen Krueger. Karen has three friendly cats and a friendly dog. Please keep this in mind if you have allergies. Bring snowshoes and a snack; hot drinks will be provided. Meet: 5:30PM at the Brigadoon Restaurant in Oxford Mills (if you wish to have dinner there beforehand) OR meet there at 7:30PM for a brief talk before heading out to see the Mudpuppies nearby. The restaurant has directions on its website. After we are introduced to these amazing large salamanders we will go to the water below the dam, where the Mudpuppies venture out after dark to feed on the flat bedrock. This is the best Mudpuppy viewing site in Ontario and there should be plenty of opportunity to examine them up close. Expect to be outside for at least an hour, either near, or preferably in, the shallow water. Dress very warmly and wear your tallest waterproof boots. Bring a strong flashlight if you have one. Register at events@mfnc.ca and please indicate whether or not you will be coming for dinner. Park close to the road, away from the store. We will carpool from there to the Nature Preserve. We will walk or snowshoe the beautiful trails of High Lonesome in the Pakenham Highlands. Footwear will be dependent on the amount of snowfall we have beforehand, so please check this website before heading out. Our emphasis will be on trees in winter but we will also look for signs of animals and watch for birds. Bring along a hand lens and binoculars if you have them. There is an old barn where we can find shelter for lunch; bring food and water. After lunch we will head back to the trails until about 2pm. The annual bird count is being held on Boxing Day. We are looking for participants with at least minimal experience in identifying birds. Participants are assigned an area to cover and are paired so no one goes alone. It is a full day event with a pot-luck dinner/compilation afterwards. This will be an all-morning activity but drop by even if you can only spare an hour or two. We will be adding wood chips to the trail so bring a shovel and wheelbarrow if you have them. Loppers and pruning sheers would be useful too. Beneath the mud, clays and Ordovician sediments, all of Arnprior is underlain by Precambrian marble. From the mid 1800s until perhaps 1900, marble from Arnprior quarries was fashioned into monuments, urns, pedestals, columns, tabletops, baptismal fonts, headstones and even blocks for the first Houses of Parliament. This tour will help us appreciate: the marble sites within Arnprior, the people involved in the industry, some off their products and the significance of Arnprior’s “Marble Industry”. Come on a fungal excursion through Gillies Grove. There should be lots of things growing in all sorts of colours, shapes and sizes. We may even see some slime moulds. Bring field guides and a magnifying lens if you have one, plus water and a lunch.